Home » Question and answers » How to Hack Gmail Account Online? Gmail is one of the biggest and popular mail services on the web. Needless to say, it is a secure service that is hard to break a Google account, especially if you are a beginner hacker. All accounts are safe. It is not easy to read an email on someone’s computer without knowing a password. Even if Gmail page has a high level of security, people know how to how to hack Gmail account secretly. In our article, we will share some useful tips about cracking Gmail. In fact, cracking a Gmail page is not an easy job. You can find many hackers online who offers breaking Gmail accounts for money, but most of them are fake and they will never do the job. All they need is money, and they just fool other people. Every day, tons of people search online for answers to questions “how to hack Gmail account?”, “how to crack Google”, etc. In our article, you will find several ways how to hack any Gmail account secretly without knowing a secret word. Why Do People Want to Crack Someone’s Gmail Account? We live in the world of modern technology, and most of our daily life is hidden in the computer. Some people are interested in someone’s else life, and they may get crazy to break their computers to read emails and to get some secret information about their life. For example, a partner can suspect that his or her second half is cheating, and they start to think about cracking their personal email to get the truth. Of course, people are protected by passwords. Plus, secure software by Google keeps their private data safe, but is it possible for an ordinary person to hack it? The answer is yes because any secured system can be hacked. It just requires a lot of time and patience. In this guide, you will find some secrets about how to hack a Gmail account without them knowing. This is absolutely free. You can try these methods out to break and read emails secretly from any Gmail account. All you need is just a lot of time, some simple skills, and a lot of patience. Keep in mind we are posting this article in the intention of education, we do not recommend using it for malicious goals. Here we want to share six simple methods to help you to crack any Gmail page. Phishing. 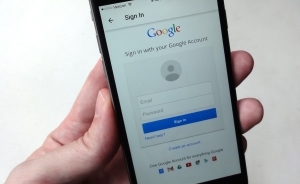 It is a popular technique used by people to crack Gmail passwords secretly; in fact, fishing process doesn’t require any special technical knowledge and skills. The main principle of work is a hacker has to duplicate the original Gmail login page to steal the password from the user. If the user is not experienced in the computer, he or she won’t notice that a page looks suspicious. The user types the secret word to log into the Gmail, and it automatically transmits to the hacker. So, the hacker receives a valid password to log into Gmail and read all the needed emails. Social engineering. This is a very simple method that doesn’t require any special skills or programs. Your main goal here is to find a right answer to the security question that provides you with the recovery option for the forgotten secret word. Most of the people choose simple secret questions. It can be a question “What is the name of your pet?”, “What is your car make and model?”, “What is your nickname?”, etc. If you know the person, you may easily recognize his or her pet’s name, or the car they drive, or their nicknames. Social engineering also includes guessing a secret word. Many people set weak Gmail passwords that are easy to guess, this is another way for you to read their emails secretly. Plain grabbing. Hackers use this method by h to steal the victim’s password. The attacker just needs to crack a certain website where the target victim is a member and stole their usernames and passwords from a database there. People often use the same secret words for many sites, there are high chances that the attacker can log into Gmail of their victim to read emails secretly. Keylogging. This method uses a software that records everything the person types on their computer. All keyloggers are special programs that run in the background, and the user cannot notice them, especially if they are not power users. The software just records all keys the victim press on their computer. And the hacker’s task is to read logs and to figure out a Gmail password. Apart from this, keyloggers allow attackers to steal any private information, including credit card numbers, and passwords to other websites. You may start with some of the most popular apps on the market: mSpy, FlexiSpy, iKeyMonitor, PhoneSheriff. Browser extension Gmail hacker. With this method, the attacker doesn’t steal your password, but they can access and control your computer indirectly. People can install various add-ons by request. The hacker just creates a fake add-on and waits for the victim to install it and get them access to their emails easy. If a person is not an experienced PC user, he or she won’t suspect the add-on is a fake; that’s why is important to not install any programs from the sources you cannot trust. Trojan horses. These are programs to can spy on the computer of the victim and control their activity in Gmail. They also record everything the victim types and show all the information to the hacker, and the attacker can read all logs. A trojan is a program hackers easily hide inside any other software like a media file. A victim can get a trojan via email or download it on the Internet. There are much more methods and we have shared only the most effective and simple here. As you can see, cracking a Gmail account is a long job, and it requires a lot of time. Follow our tips on cracking someone’s email and polish your skills. Be sure to check our website for proper hacking experience in the future. the attacker can read all logs. A trojan is program hackers easily hide inside any other software like a media file. A victim can get a trojan via email or download it on the Internet. My Pokémon account was stolen by somebody else . I managed to get the email if the thief . He never replly my email . Niantic saud cannot help. Anything you can help ? I need someone that knows how to hack to messages me ASAP. Please and thank you. I need to recover a school account from 2 years ago, can anyone help me recover my password ? I’m Sanna.I want to hack a my account.I forget my account.So,I want to hack it now.Do you can help me? oh my gosh yes! I do need cheating proof my boyfriend has not been hanging out with me a lot. so I have to find a way to hack into his account and find out whats going on with this girl named Deborah Smith cause he is hanging out with her TO MUCH!!! I need to reset a school Chromebook. my Schools Chromebook doesn’t have games and everything is blocked. I need you to tell me how. The the developer mode is blocked and every time try to re-enroll it it wont work. And the sign out and Ctrl+alt+shift+r doesn’t work either. Can you tell me how to get to unblocked websites or something? Or how to reset it. Do we have to pay for this service. So you do an illegal hacking??? Someone stole my account so I need to hack there email and get it back. I also know there email adress. you need to stop hacking people!